Obesity is an epidemic in this country, one with profound consequences to our national health. According to the Centers for Disease Control and Prevention, more than one-third (36.5%) of U.S. adults have obesity, and obesity is linked to many of the leading causes of preventable death, including heart disease, stroke, type 2 diabetes and certain types of cancer. 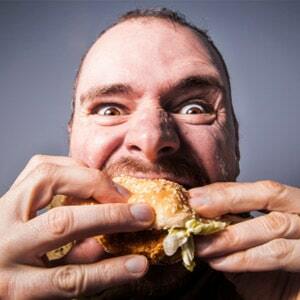 You can now add serious oral health problems to the long list of harm caused by obesity. A recent study published in the journal Oral Diseases found that overweight and obese individuals had significantly higher risks for a number of oral health problems than did people with healthy weights. This includes being six times more likely to suffer from severe gum disease. The study involved 160 adults in Thailand. It found that people with body mass indexes (BMIs) of 23 or higher were 4.2 times more likely to develop a dental disease and more severe periodontitis than did study participants with lower BMIs. For participants with BMIs of 25 or higher, which is considered obese in Thailand, that risk increased to 5.9 percent. It would be easy and understandable to think that this connection between obesity and gum disease has to do with factors such as increased consumption of sugary or processed foods and beverages and other types of foods which are harmful to teeth and gums. Indeed, poor diet and eating foods are known to be harmful to teeth can contribute to gum disease and tooth decay. But the researchers in the Thai study accounted for that and found that the true culprit between obesity and gum disease was inflammation. Inflammation is an underlying cause of periodontal disease, just as it is with heart disease and other health problems. Obesity can cause inflammation throughout the body. In turn, inflammation has been shown to weaken the body’s immune system. Since gum disease is caused by bacterial infections, a body which is not ready to attack such infections is more prone to developing gum disease. This link between obesity and oral health is just one way that the health of our teeth and gums is inextricably connected to our overall health and well-being. It is also an example of why we practice holistic dentistry at Assure A Smile. One of the key aspects of the holistic dentistry we practice at Assure A Smile is the recognition that our lifestyle choices – including the foods we consume – have a profound impact not only on our oral health but our overall wellness. What we eat and drink plays a huge role in determining whether we will be healthy or whether we will suffer from a whole range of health issues such as obesity and the many problems caused by obesity – including gum disease. At Assure A Smile in Miami, we partner with our patients to help them develop healthy, natural, and effective oral hygiene habits as part of an overall wellness strategy and holistic healthcare approach. This includes being conscious and thoughtful about the food we eat and the beverages we drink. To learn more about the importance of holistic dentistry and how to develop healthier habits for a better you, please contact us today at 305-274-0047.